The gelding is the only horse in Saturday's Grade 3 race who trains daily at Aqueduct's main track. OZONE PARK, N.Y. – Trainer Rudy Rodriguez hopes all the talk about Brady this weekend won’t be limited to the Super Bowl. On Saturday, Rodriguez will send out Not That Brady against six rivals in the Grade 3, $250,000 Withers Stakes at Aqueduct. At 1 1/8 miles, the Withers should be a good measure of a horse’s ability to get a distance of ground and whether or not to continue down the path to the Kentucky Derby, at 1 1/4 miles. The Withers offers 17 Derby qualifying points to its top four finishers (10-4-2-1). Not That Brady, a gelding by 2008 Kentucky Derby winner Big Brown, has won twice at a mile, both times against New York-bred company. Not That Brady has two wins and a second in three starts over Aqueduct’s main track. He is the only member of the seven-horse Withers field who trains daily at Aqueduct. Rodriguez noted that the track was very deep during training Wednesday, when the fastest five-furlong work of the morning was 1:04.73. Rodriguez was the only trainer to work horses on Wednesday at Aqueduct. Reylu Gutierrez, the leading apprentice jockey at this meet, will retain the mount on Not That Brady, who drew post 7. As was the case for the Damon Runyon Stakes, Gutierrez will not get the five-pound weight allowance for the Withers. Four of the seven runners in the Withers are shipping up from Florida. Lucky Lee, a winner of two one-mile races at Parx Racing who has been training at Palm Meadows; Admire, a winner of a 1 1/8-mile maiden race at Churchill Downs last November; and the Mark Casse-trained Our Braintrust and Sir Winston were entered. Our Braintrust, second in the Jerome, is making his first start for Casse after the horse was purchased privately by Gary Barber. Jose Lezcano has the mount. Sir Winston won the Display Stakes over Woodbine’s synthetic surface on Dec. 8. In his lone dirt try, he finished sixth in a five-furlong race at Churchill last June. Dylan Davis has picked up the mount. Tax, third in the Remsen, drew the rail. He is followed by Sir Winston, Moretti, Admire, Lucky Lee, Our Braintrust, and Not That Brady. The Withers will go as race 9 on a 10-race card that begins at 12:25 p.m. Eastern. 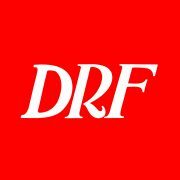 David Grening covers the New York Racing Association circuit of Aqueduct, Belmont, and Saratoga plus such national events as the Triple Crown and Breeders' Cup. He is a contributing author to "Champions" and joined Daily Racing Form in 1998.